This report is one in a series on advances in cardiovascular surgery. This report particularly focuses on the safety and efficacy of transcatheter aortic valve replacement (TAVR), a major study carried out at Columbia University Medical Center, involving reduction of paravalvular regurgitation post TAVI. 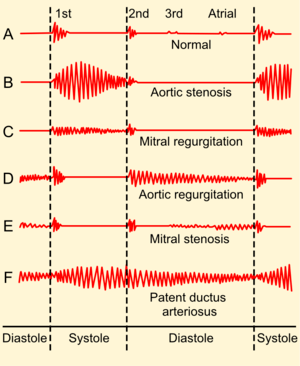 Circ Cardiovasc Interv. 2013 Feb;6(1):85-91. doi: 10.1161/CIRCINTERVENTIONS.112.971614. Epub 2013 Jan 22. Efficacy and safety of postdilatation to reduce paravalvular regurgitation during balloon-expandable transcatheter aortic valve replacement. Daneault B, Koss E, Hahn RT, Kodali S, Williams MR, Généreux P, Paradis JM, George I, Reiss GR, Moses JW, Smith CR, Leon MB. Columbia University Medical Center/New York-Presbyterian Hospital and the Cardiovascular Research Foundation, New York, NY 10032, USA. Paravalvular regurgitation (PVR) is common after transcatheter aortic valve replacement (TAVR) and may be associated with adverse outcomes. Postdilatation (PD) has been proposed to treat PVR without being formally studied. We performed a study to evaluate the safety and efficacy of PD after balloon expandable TAVR. Consecutive cases of TAVR were reviewed for clinical outcomes. Procedural transesophageal echocardiography imaging was reviewed for a subgroup of consecutive patients. PVR areas seen on a short-axis view were measured immediately after deployment, after PD, and at the completion of the study. Stent dimensions measured using angiography and the Paieon’s C-THV system pre- and post-PD were compared. Between May 2007 and November 2011, 259 patients underwent TAVR at our institution. PD was performed in 106 patients (41%). These patients had larger annulus, lower cover-index; more often had transfemoral access and implantation of a 26 mm valve. There was a nonsignificant greater rate of cerebrovascular events in PD patients. There was no significant difference in major aortic injury and permanent pacemaker implantation rates between groups. TTE studies were reviewed in 58 patients (35 with PD and 23 without PD). PD patients had larger PVR areas immediately after deployment (40.3±17.1 versus 15.4±14.2 mm(2); P<0.0001). There was significant reduction in PVR area attributable to PD (21.7±9.3 mm(2); P<0.0001). Spontaneous regression of PVR was seen in both groups. PD increased stent dimensions. This study demonstrates the efficacy of PD at reducing PVR in patients with greater than mild PVR after balloon-expandable TAVR. Daneault R, Koss E, Hahn RT, Kodali S, Williams MR, et al. Transcatheter aortic valve replacement (TAVR) has emerged as a new alternative treatment for patients with severe aortic stenosis, who are at high risk or deemed inadequate candidates for conventional surgical aortic valve replacement. Paravalvular regurgitation (PVR) is common after transcatheter aortic valve replacement (TAVR) reported in 80% to 96% of TAVR cases Moreover, moderate and severe degrees of regurgitation are associated with worse clinical outcomes While the risk factors are known and include: smaller cover index, annulus eccentricity, and the degree and distribution of leaflet calcifications, postdilatation (PD) of balloon expandable valves after implantation, including transcatheter heart valve (THV) traumatic aorta injury, cerebrovascular embolus, and conduction block may outweigh the potential benefits from reduction in aortic regurgitation. Therefore, these investigators performed a study to evaluate the safety and efficacy of PD after balloon expandable TAVR. • Significant paravalvular regurgitation after transcatheter aortic valve replacement is associatedwith increased mortality. • Calcifications, undersized prosthesis, and malposition are causes of paravalvular regurgitation. Procedural and in-hospital outcomes for all consecutive patients treated between May 2007 and November 2011 with Edwards SAPIEN THV (Edwards Lifescience, Irvine, CA) as part of the PARTNER and PARTNER 2 trials were reviewed both prospectively and retrospectively. Information on PD was collected retrospectively from chart and imaging review for the period between 2007 and August 2010, and prospectively after August 2010. PD was performed in cases where PVR was qualitatively more than mild, by transesophageal echocardiography (TEE), immediately after THV implantation. There were 259 patients who underwent TAVR. PD was performed in 106 patients (41%). Procedural transesophageal echocardiography imaging was reviewed for a subgroup of consecutive patients. PVR areas seen on a short-axis view were measured immediately after deployment, after PD, and at the completion of the study. Stent dimensions measured using angiography and the Paieon’s C-THV system pre- and post-PD were compared, and TTE studies were reviewed in 58 patients (35 with PD and 23 without PD). (PVR1−PVR2) in the PD+. Angiographic end points included additional expansion of IF, OF, and minimal diameters of stents after PD. difference between the 2 groups in the incidence of neurological events, although they were more frequent in patients with PD. Permanent pacemaker implantation during the index hospitalization was not significantly different between the 2 groups. Major aortic injuries were rare and occurred at a similar rate between both groups with no aortic annulus rupture in either group. These (PD) patients had larger annulus, lower cover-index; more often had transfemoral access and implantation of a 26 mm valve. There was a nonsignificant greater rate of cerebrovascular events in PD patients. There was no significant difference in major aortic injury and permanent pacemaker implantation rates between groups. PD patients had larger PVR areas immediately after deployment (40.3±17.1 versus 15.4±14.2 mm2; P<0.0001). There was significant reduction in PVR area attributable to PD (21.7±9.3 mm2; P<0.0001). Spontaneous regression of PVR was seen in both groups. PD increased stent dimensions. There was a significant increase in the OF, IF, and minimal diameters after PD of 26 mm valves. The changes were not statistically significant for the 23 mm valves. There was a greater expansion in the IF and OF diameters compared with the minimal diameter. This study is the second that demonstrates the efficacy of PD at reducing postdeployment PVR in patients with greater than mild PVR after balloon-expandable TAVR. Moreover, judicious use of PD for greater than mild PVR is not associated with excess morbidity or mortality, although some concerns regarding cerebral embolism deserve comment. When it occurs, PVR is a significant cause of nonstructural prosthetic valve dysfunction. The anatomic positioning and resultant physiology of THV, however, are different from surgical valves. After surgical aortic valve replacement, most commonly PVR is attributable to infection, suture dehiscence, or fibrosis and calcification of the native annulus, resulting in inadequate contact or gaps between the sewing ring and annulus. Because THVs do not have a sewing ring traditional dehiscence cannot occur. For balloon-expandable THV, significant PVR most commonly results from incomplete prosthesis apposition to the native annulus. • Additional postdilatation can reduce the magnitude of paravalvular regurgitation. • Spontaneous regression of paravalvular regurgitation occurs within minutes after transcatheter aortic valve replacement. • Postdilatation may be associated with increased risk of cerebrovascular events.